The church building for Mt. Tabor was completed in 1878. According to legend, a group of freedmen met in a brush arbor before erecting the structure. Services are still held in the renovated wood frame building that features an off-center staged tower on its façade with a tall pyramidal tower roof capped by a metal finial. The original bell has been removed from the belfry but remains on the church grounds. 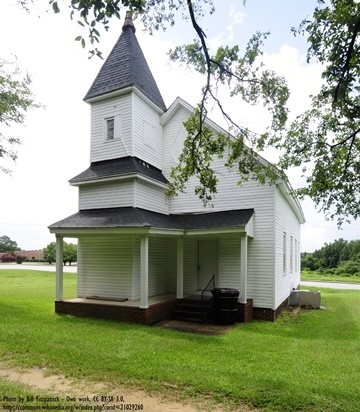 The church is sheathed in weatherboard and has a gable roof covered with composition shingles. Mt. Tabor is located in the West Main Street Historic District, Chesterfield County (Town of Chesterfield) which was added to the National Register of Historic Places in 1982.